Eino Kaakkolahti is one of the most celebrated pesäpallo (Finnish baseball) players of all time. Kaakkolahti played 18 seasons as pitcher in the Finnish championship league, winning four gold, three silver and three bronze medals. He won six best pitcher’s awards but also led the league in batting once (in 1953), which a highly exceptional feat for a pitcher. The annual all-star East–West game is the highpoint of the pesäpallo season. 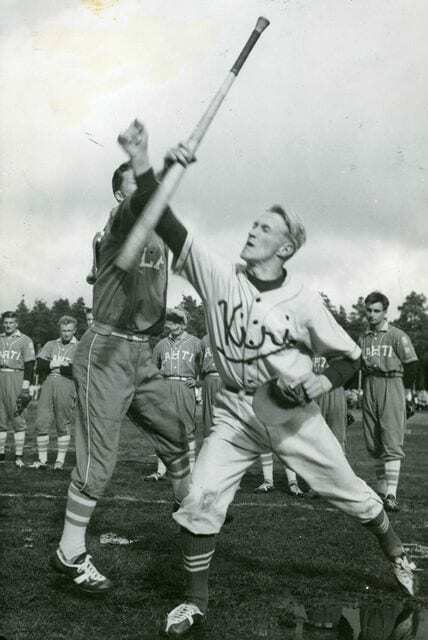 Eino Kaakkolahti was selected to the game 16 times between 1948 and 1964, setting a record that stayed unbroken for 44 years.